World class athletes require high-performance nutrition. 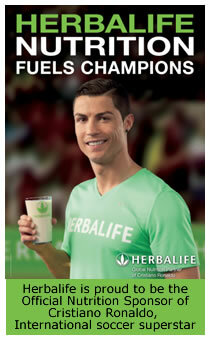 Herbalife proudly sponsors these top achievers around the globe. Click HERE to read more incredible results from top athletes. Using Herbalife's Formula 1, 2 & 3 is the best starting point for any athelete, helping you Fuel, Refuel, Repair and Recover with maximum efficiency. With a simple personalised programme you can easily achieve optimum energy levels and safely maintain the highest levels of personal performance. Active people need high-performance foods. Formula 1 has been scientifically formulated with with 9 grams of high quality soy protein, carbohydrates, fats, vitamins, minerals and fibre, to ensure the active body gets all the nutrients it needs for optimum performance. Our nutritional shake mix also provides essential amino acids your body needs to maintain good health. Available in 5 delicious flavours. Very easy to mix. Did you know....as little as 2% fluid loss during exercise or mild dehydration can significantly harm your performance - for exceptional performance, water alone is not enough. When you exercise, you sweat, which increases the risk of suffering from the negative effects of dehydration such as headaches, fatigue and cramp. Developed by experts in sports nutrition, H3O Pro™ is an innovative isotonic drink which helps to power exceptional performances. As we demand more from our bodies during exercise, two crucial factors aid performance: hydration and energy. That’s why you get so much more from H3O Pro™ Isotonic Drink than other leading brands on the market. Read here for more info. Herbalife proudly introduces a revolutionary new kind of energy drink! LiftOff  is an effervescent energy drink with an exclusive energy blend of taurine, guarana, caffeine, Panax ginseng and Ginkgo biloba. LiftOff  fights fatigue and improves mental performance. LiftOff  also contains 100% of your daily supply of antioxidant Vitamin C and more than 100% of your Vitamins B6 and B12 for enhanced energy production. Low in calories and no added sugar. Available in two refreshing flavours, Ignite-Me Orange and Lemon-Lime Blast, today. Just drop one tablet in eight ounces of cool water and start the countdown! Eating healthily doesn't mean depriving yourself! 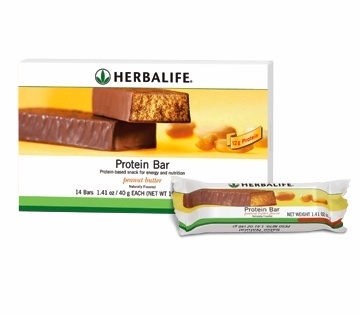 Instead of grabbing a chocolate bar, treat yourself to a Protein Bar. 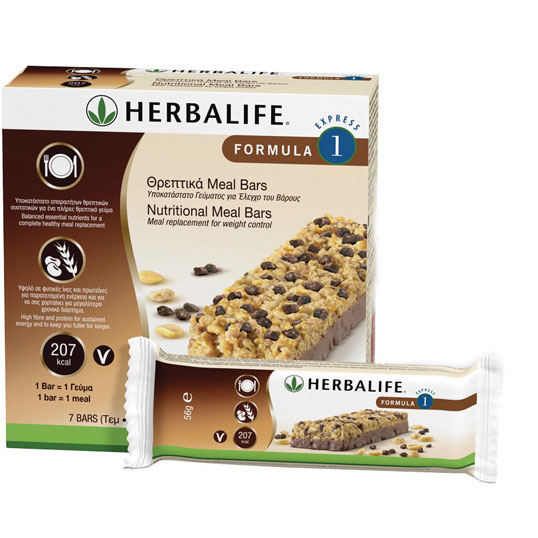 These protein-packed products are designed to give you optimum nutrition between meals. . Each deliciously chewy bar is packed with nutrition and covered in a delicious chocolate or yoghurt coating. So it satisfies your sweet tooth, and gives you valuable soy protein between meals.We've got a triple treat of premium quality snack bars with our luxurious rich and flavourful Vanilla Almond, Chocolate Peanut and Citrus Lemon recipes. These bars are made with real chocolate, but contain less fat, less calories & 10g of protein per bar. 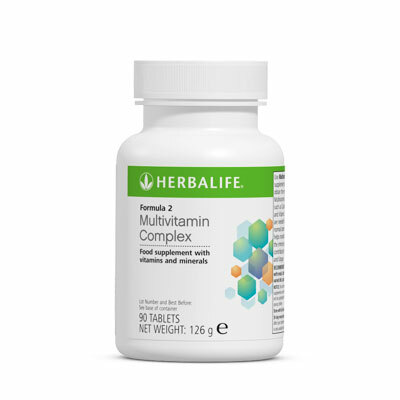 Balanced essential nutrients for a complete healthy meal replacement*. 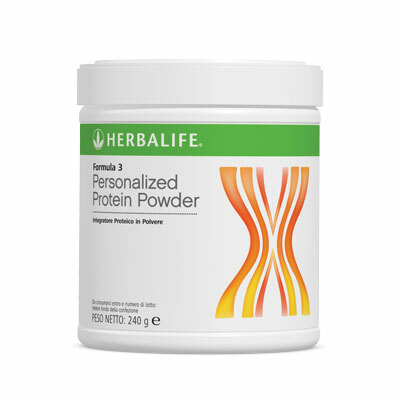 Soy Protein and plant based carbohydrates for sustained energy and to keep you fuller for longer. All the nutrients needed with 207kcal. * Disclaimer: No medical claims of any nature are made or intended in any of the stories submitted. The experiences of the parties concerned are their own personal experiences and the results obtained are due to the body receiving complete and properly absorbed nutrition on a daily basis. No guarantee is given or implied that you will experience the same results, as this depends on your adherence to the program. All nutritional programs are used with a calorie-controlled intake. ? Copyright 2002 All rights reserved by the Copyright Holder, Coronet, RSA Authorised for use in South Africa only. "The name and address of the promoter is: Herbalife International South Africa Ltd. Stand 17, Janadel Avenue, Riverview Park, Bekker Road Extension, Midrand, Gauteng, 1685, SA. The goods, which are sold under this system, are nutrition and personal care products. Transactions are effected by participants.